The Washouse Laundry service specializes in transforming laundry time into free time. We offer a wide variety of popular wash and fold laundry services to meet your individual or business needs. Our typical turnaround time is less than 24 hours for an average load of laundry. Need it the same day? Drop off your laundry before 9 AM and have it ready for pickup in just a few hours! If time is on your side, drop off your laundry any time after 9 AM and it will be cleaned, folded and neatly packaged for pickup the next day. Let’s talk about delivery. Are you too busy to drop off? Not a problem. The Washouse offers pickup and delivery service 5 days a week. With our convenient delivery route, you only have to go as far as your doorstep for next-day laundry service. Click here to learn more. Have questions? 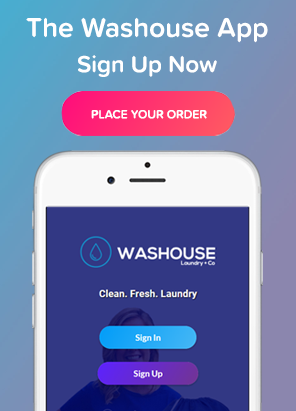 Contact the Washouse today! 2019 © Washouse Laundry Co.